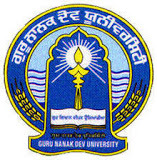 Online applications are invited from eligible candidates for the posts of Assistant Professors (on contract basis, fixed pay) in various subjects of teachings departments of Guru Nanak Dev University (GNDU) main campus, Regional campuses, University Colleges & Constituent Colleges for maximum of 10 months (July 2018–April/May-2019) for the academic session 2018-19 as per details given below. Candidates must also fill the Score Card Proforma, which is an essential component of the online application form. Candidates are required to deposit the prescribed fees (non refundable) through online mode only using Credit Card/ Debit card/ Net banking. Application fees for one subject will be Rs. 1000/- (Rs. 500/- for SC/ST & PWD candidates). The Candidates who intend to apply in more than one subjects or more than one campus will pay fee of Rs. 2000/- (Rs.1000/-for SC/ST & PWD candidates). The application submitted through online mode ONLY shall be accepted.